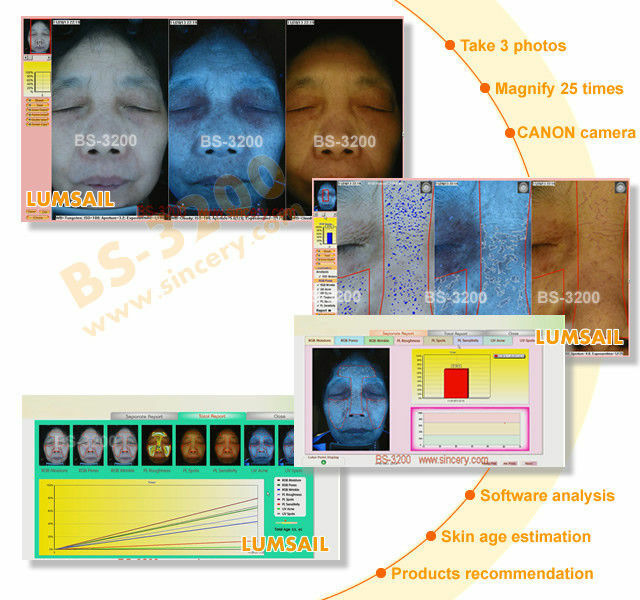 The BS-3200 3D skin analysis is multi-faceted ,taking multiple images of the face(and layers of the skin) simultaneously.These incredible cameras not only capure the face in nearly microscopic detail,they also reveal damage done to the face that could never be seen with the naked human eye.Uncover UV radiation damage,wrinkles growing in the subcutaneous layers of the skin,clogged pores ,and more. 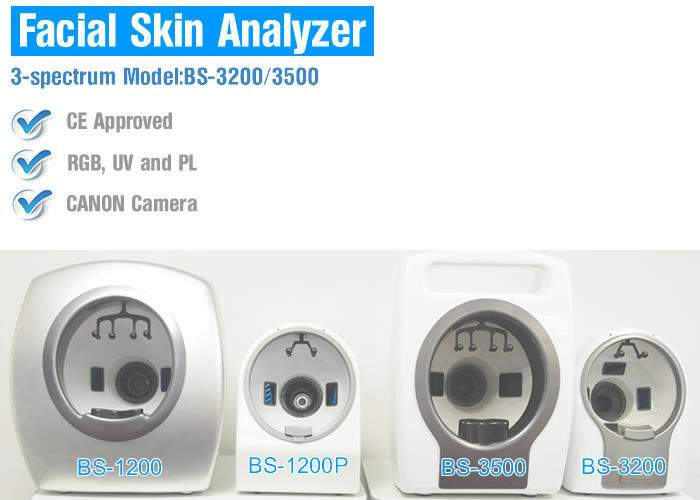 The BS-3200 shows the pores of the face in three-dimensional detail.When a customer sees evidence of their facial skin condition ,they will be more likely to purchase your products or services to begin to heal and cure their damaged skin. 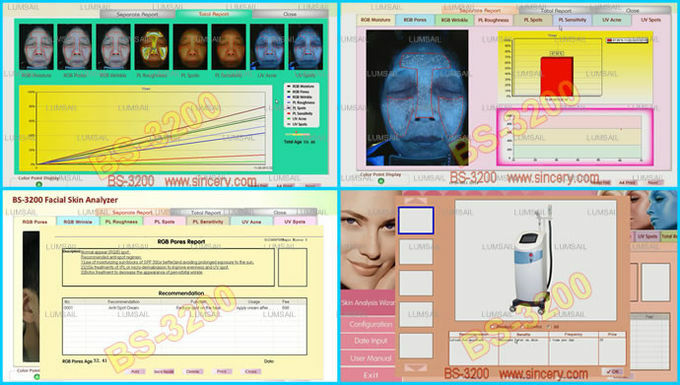 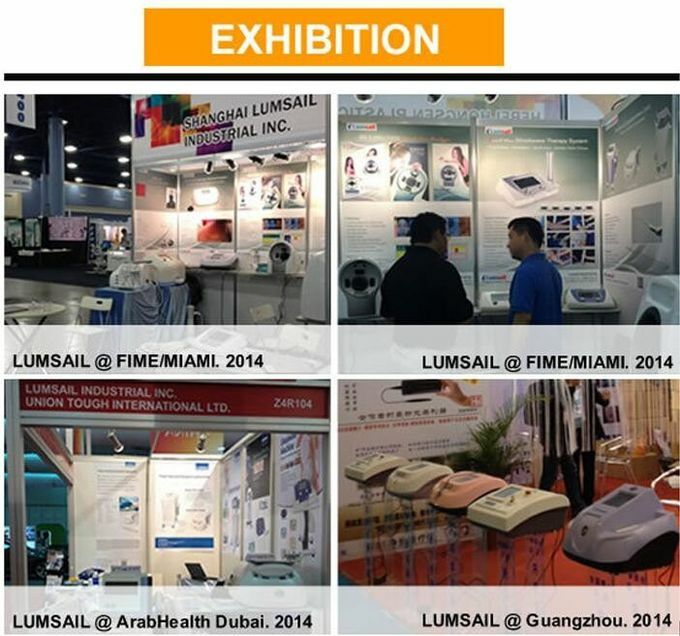 The BS-3200 facial skin analysis system utilizes skin care photographic imaging tool that provides clinical measurement of surface and subsurface facial skin conditions, using digital images technologies via RGB visible light, PL polarized light, and UV spectrum. In use by cosmetic surgeons, dermatologists, and other medical and skin care professionals, the BS-3200 system is a self-contained unit that captures multi-spectral photos of the face, examining the complexion for wrinkles, spots, pores, texture, porphyrins (evidence of bacteria in pores), UV spots (characteristic of photodamage, typically from overexposure to sun), pigmented spots and acne. 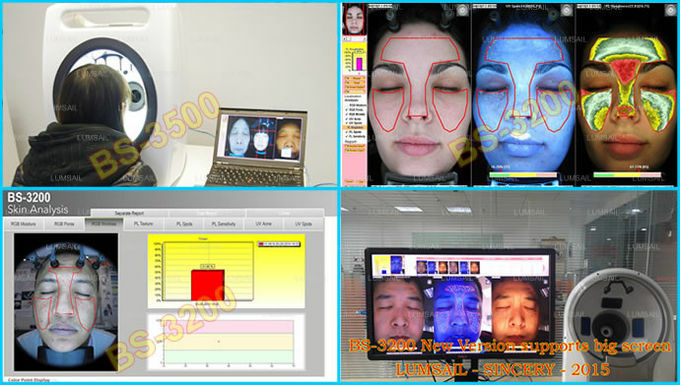 Additionally, it grades an individual’s skin features relative to others of the same age and skin type. 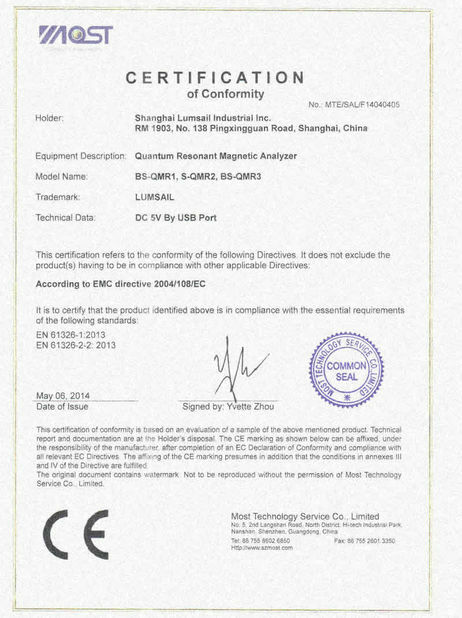 1, Epidermal skin analysis, as color of depth, property of skins and other skin problems. 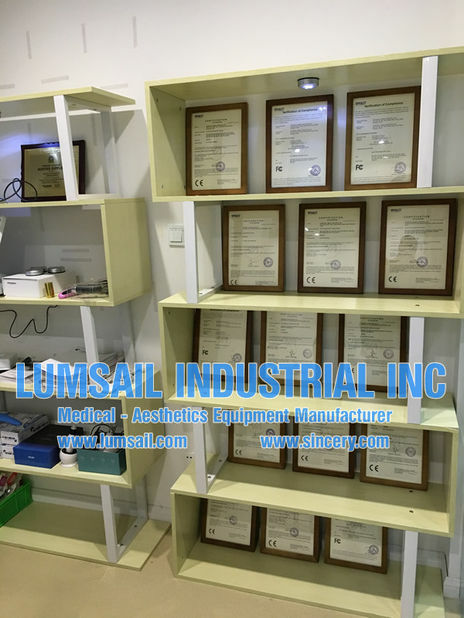 2, Dermal skin analysis, giving advice on potential skin disorders on dermal layer. 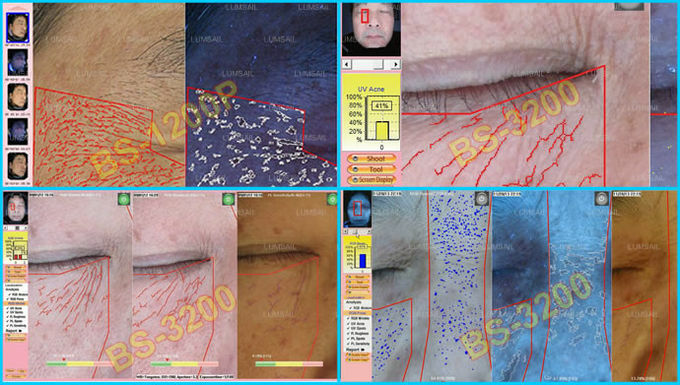 3, Wrinkle analysis: Property, density, depth and cleaning ways.